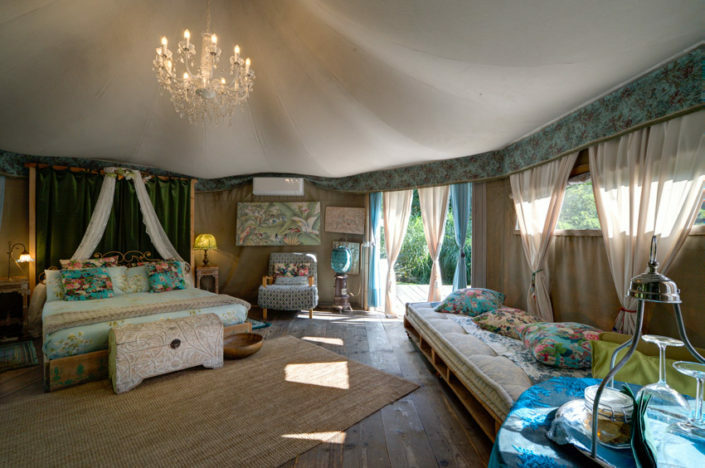 Luxury Tent Kaki, special atmosphere tent. 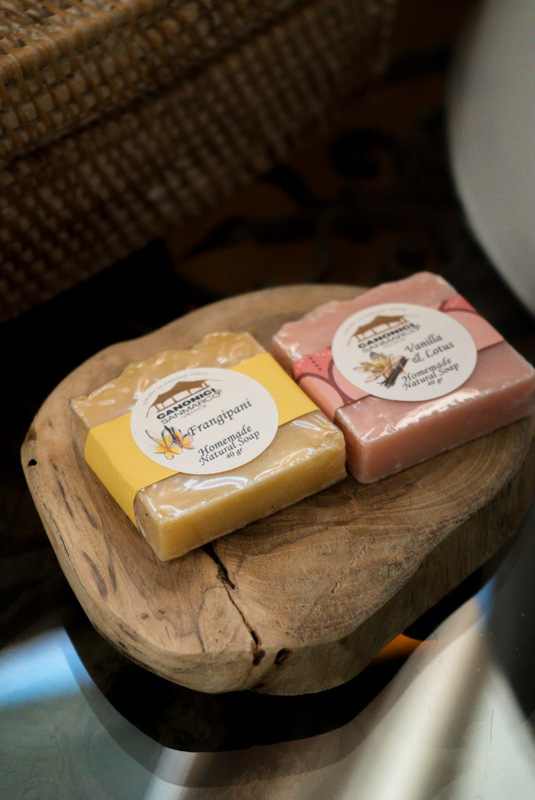 A bit of hippy, a bit of gipsy, some country, a little bit of ethnic, vintage taste, all combined with a chic flavour, for those freedom lovers. 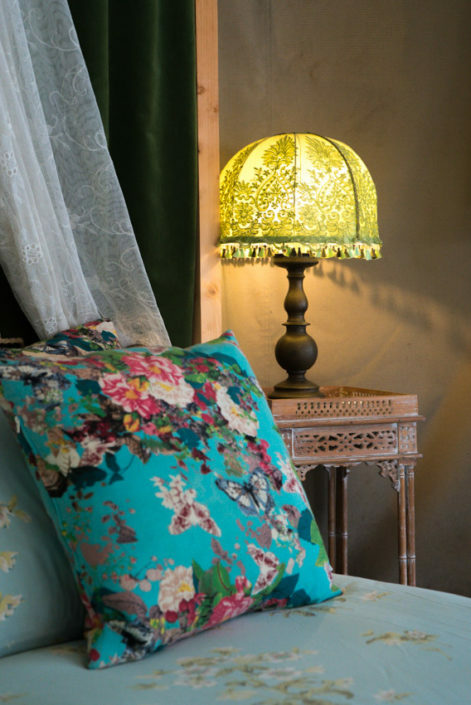 Inspiration “BOHO CHIC” . 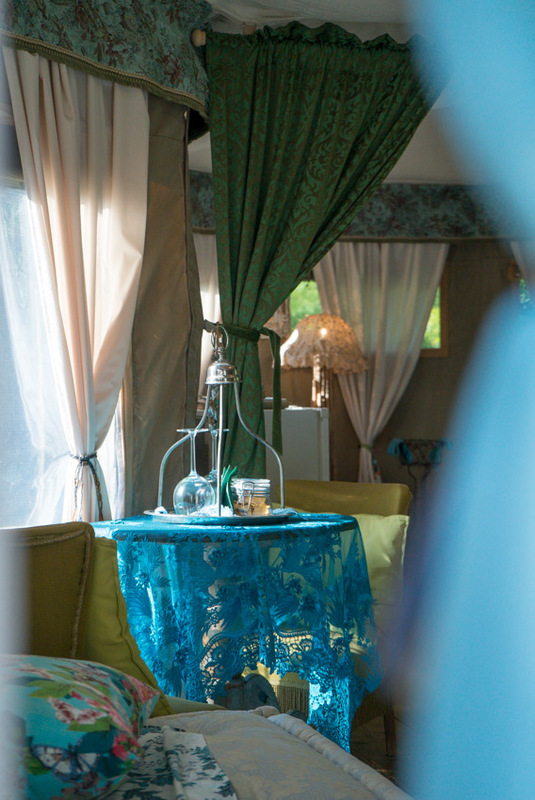 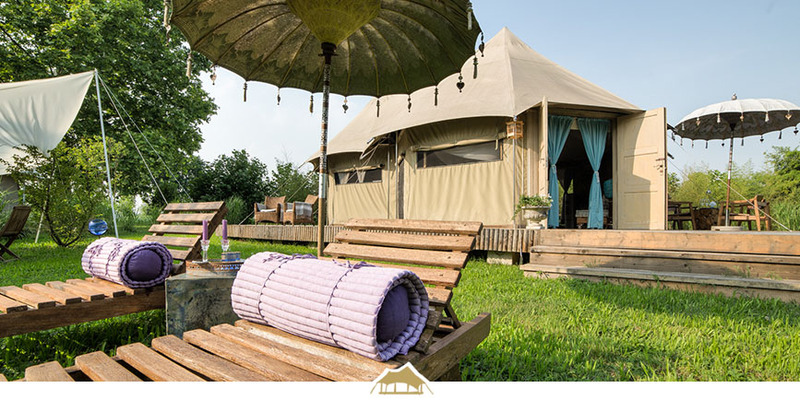 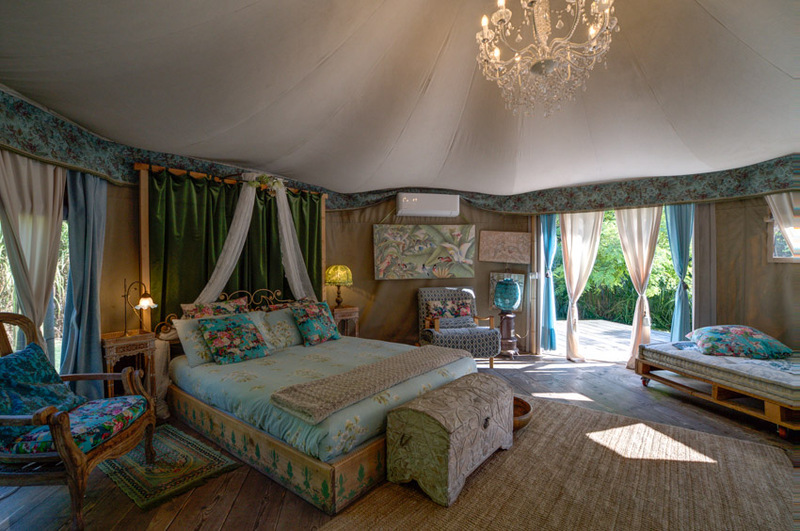 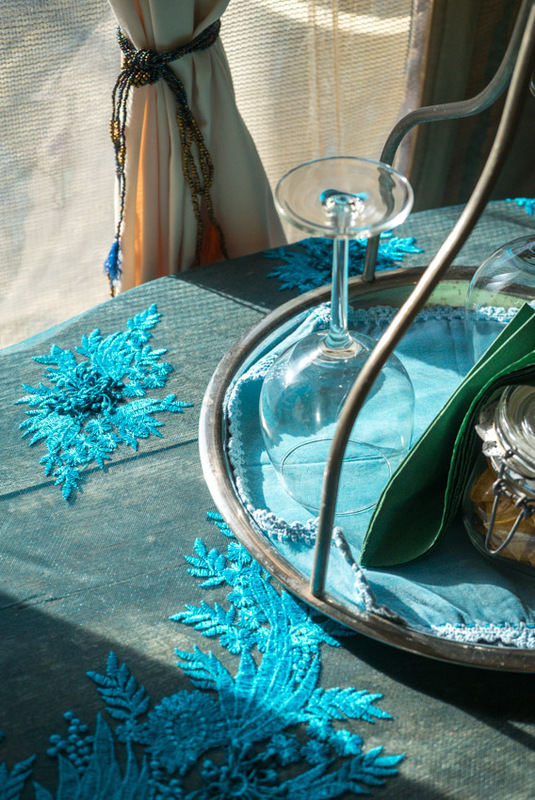 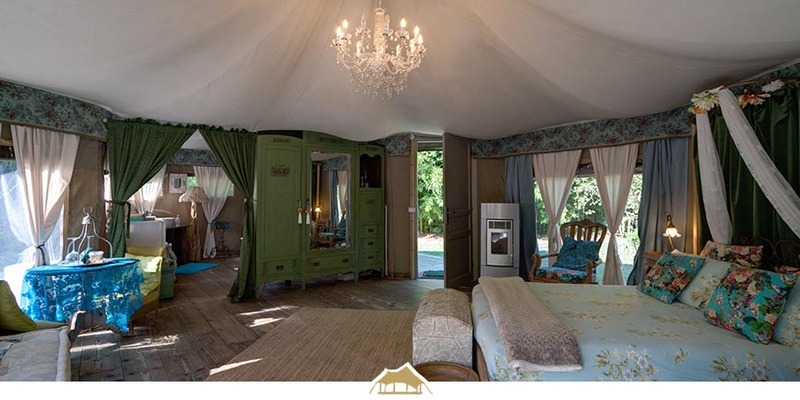 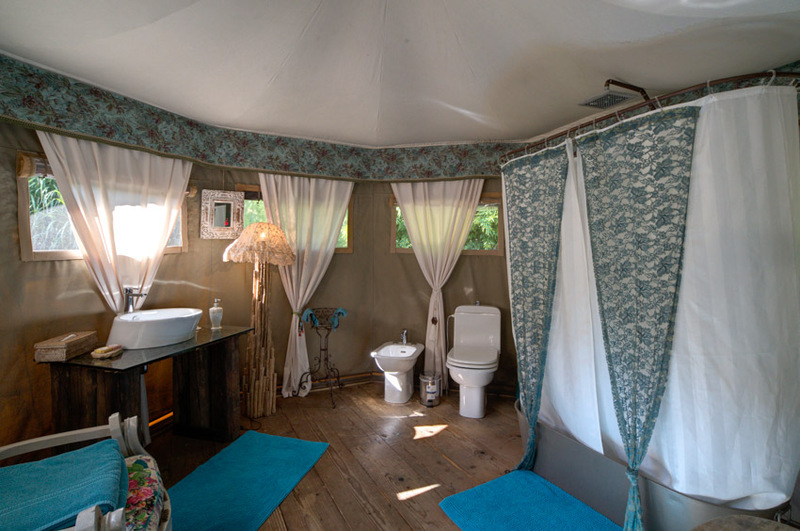 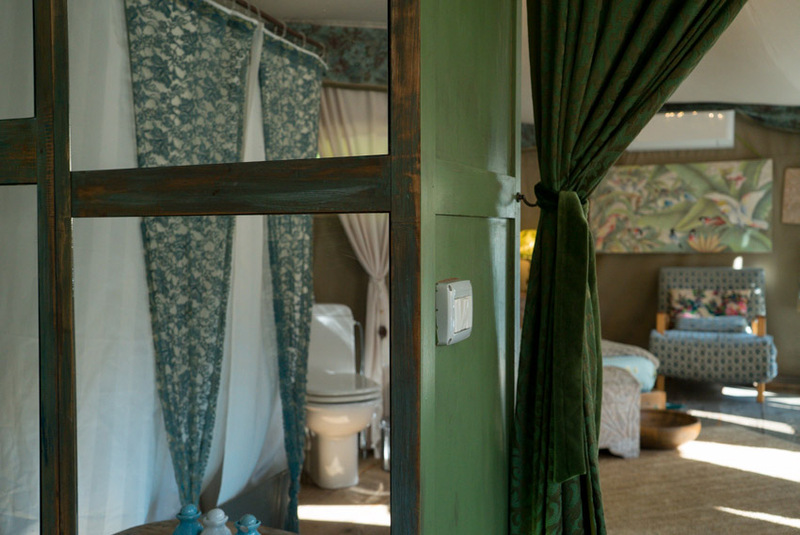 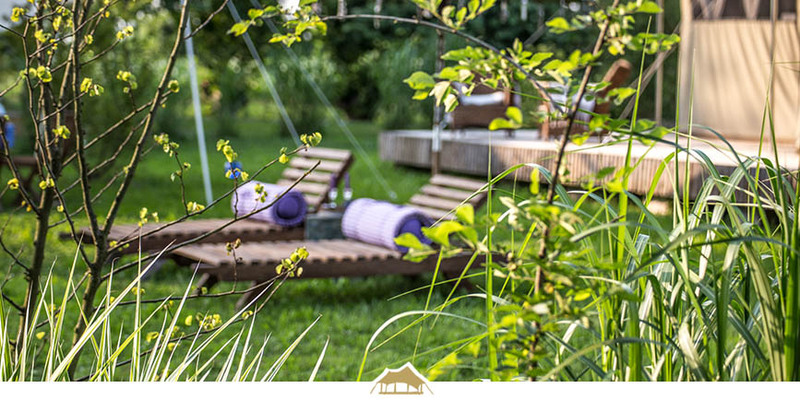 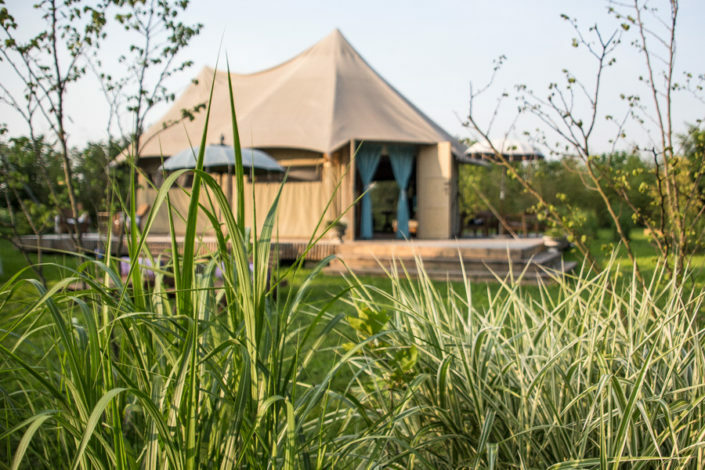 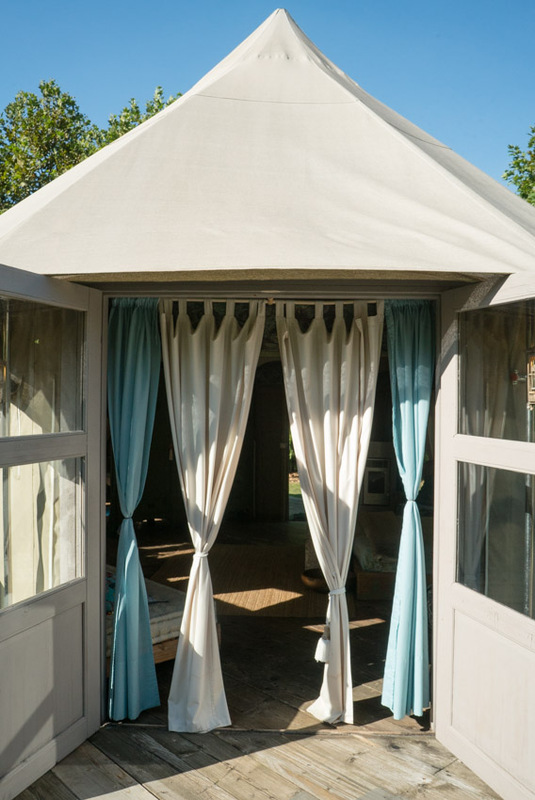 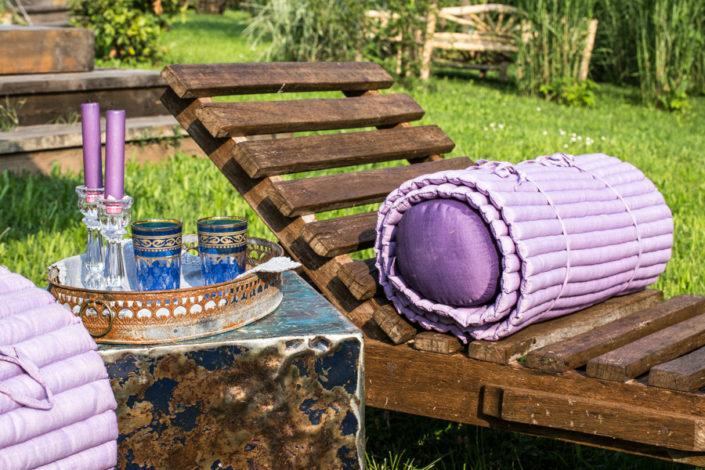 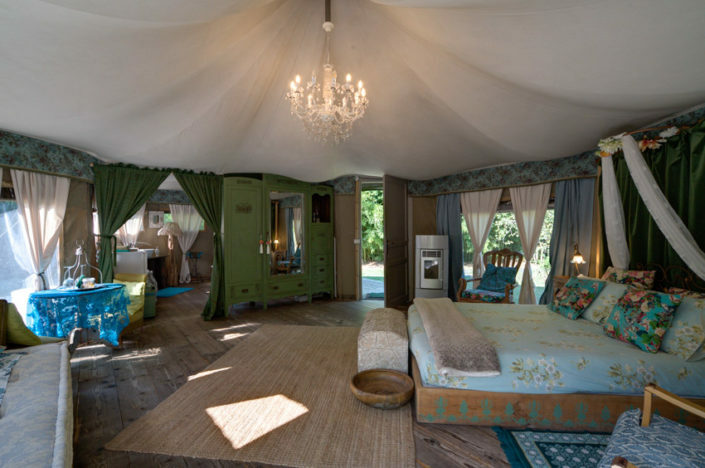 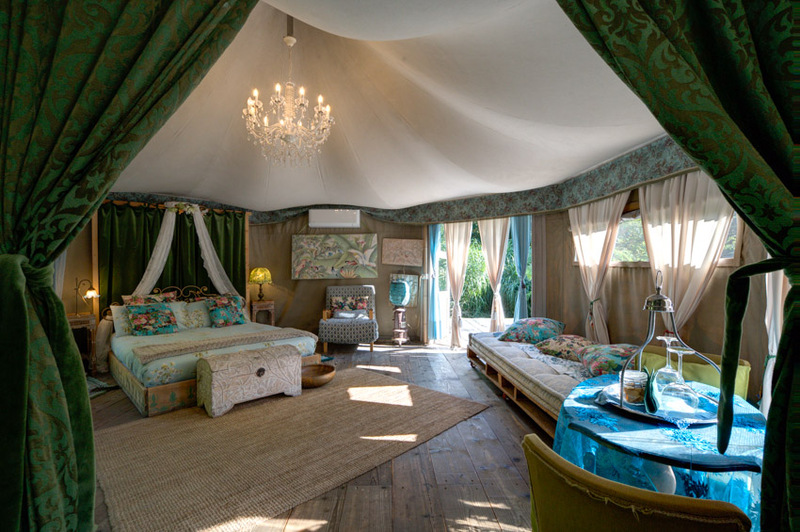 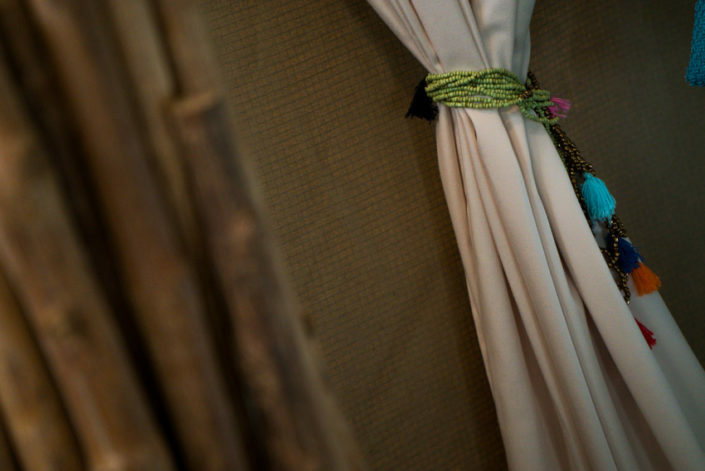 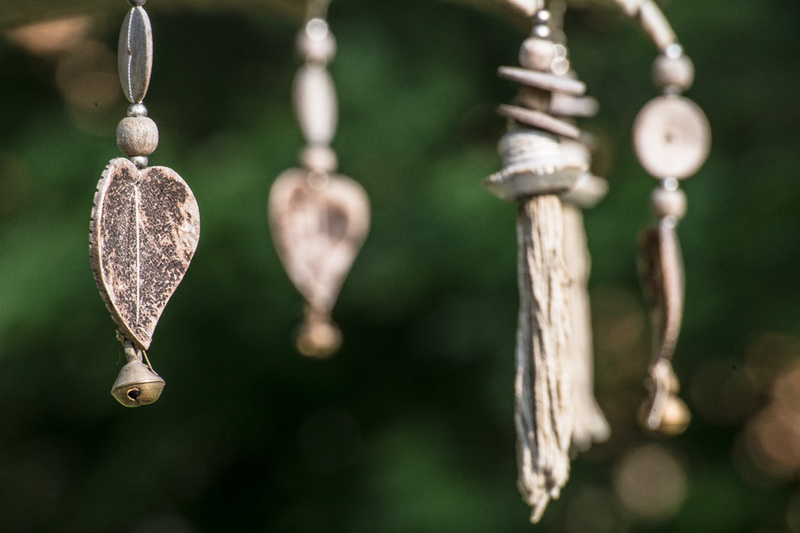 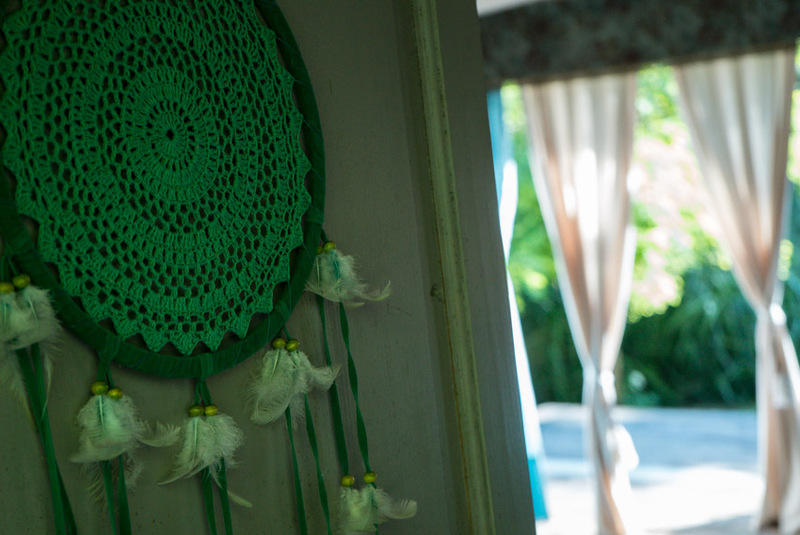 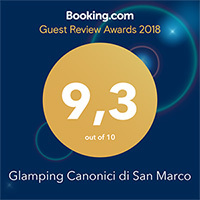 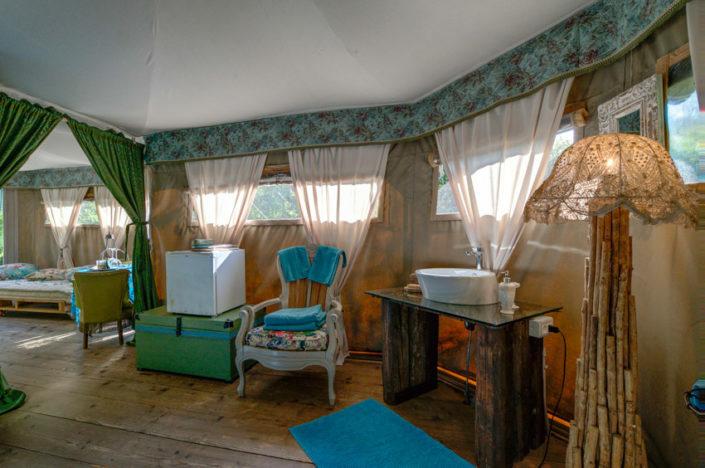 This luxury tent is an expression of that Bohemian and Hippy lifestyle that easily blends with the eco-friendly philosophy, full of retro vintage elements, and accessories taken from the gipsy culture and reinterpreted into “ CHIC”. 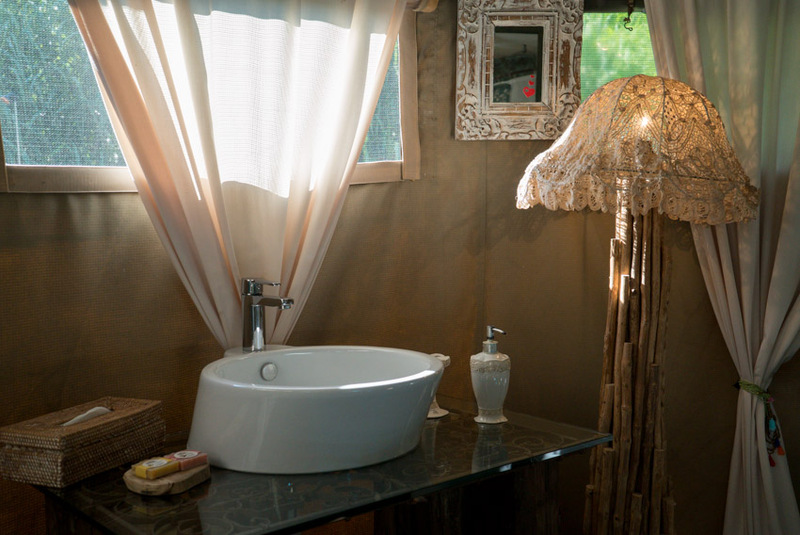 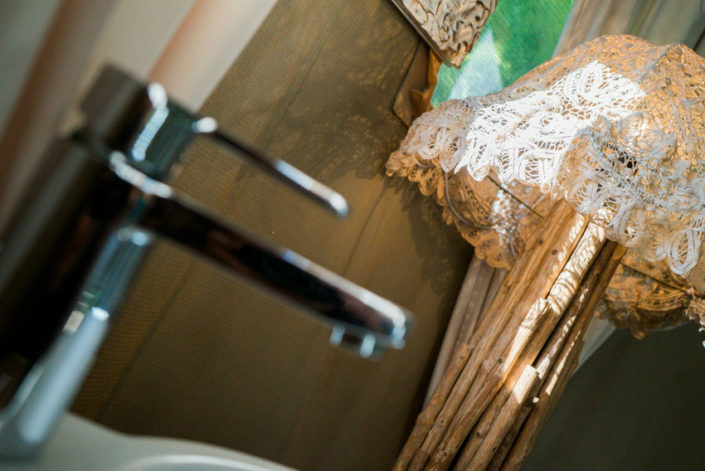 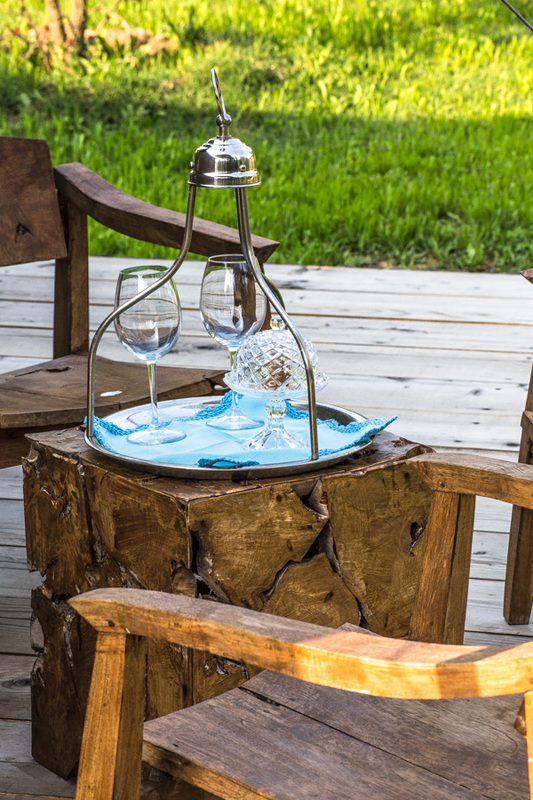 Natural materials along with warm colours and floral decorations are the masterpiece.